The previous news that developer Joe Sitt would be having rides and games on the big parcel of land that he cleared last year is partially true. The developer announced yesterday that carnival rides will be set up on the property from May 22 to June 1, although there is no indication whether he plans to make use of any of the land during the rest of the summer. 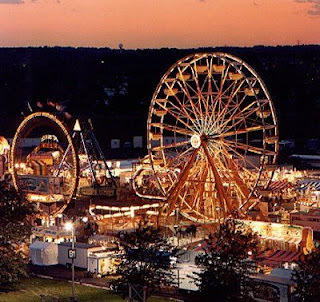 The carnival operator will be Reithoffer Shows, which runs bigs shows and fairs on the East Coast. Someone on the Coney Island Message Board immediately posted information that, last year, OSHA cited the company for alleged safety and health violations at two Pennsylvania carnival sites, with proposed fines totaling $62,000, including one incident in which an employee fell from the top of a ride. Public Service Announcement: Have You Seen Cubby?